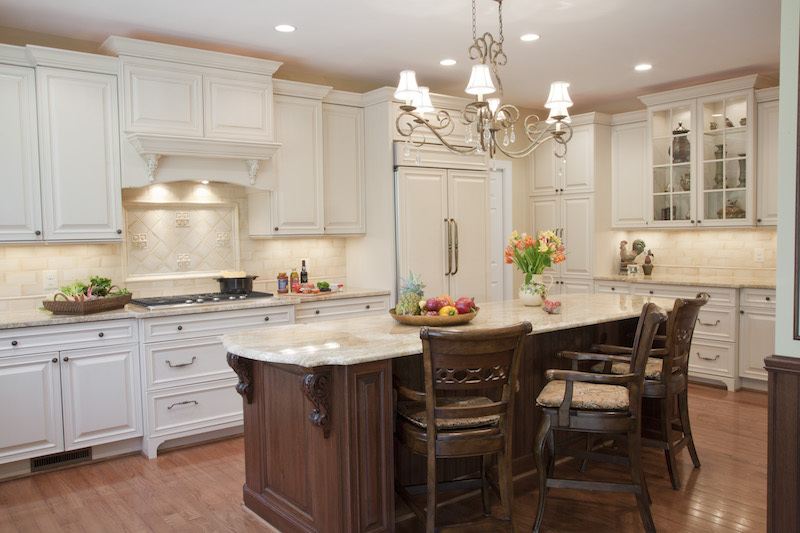 Kitchen Cabinetry - What's In Style? Remodeling your kitchen, or building a kitchen in your new custom home, is an expensive proposition. You want to make sure you are aware of the newest trends so that your kitchen is not outdated before you even begin. There are many facets of a kitchen to plan: cabinets, tile, appliances, plumbing fixtures, lighting fixtures, flooring - where do you start? A good place to begin is with the cabinetry. The style of the cabinets you choose sets the tone for the entire space. So, with kitchen cabinetry - what's in style? 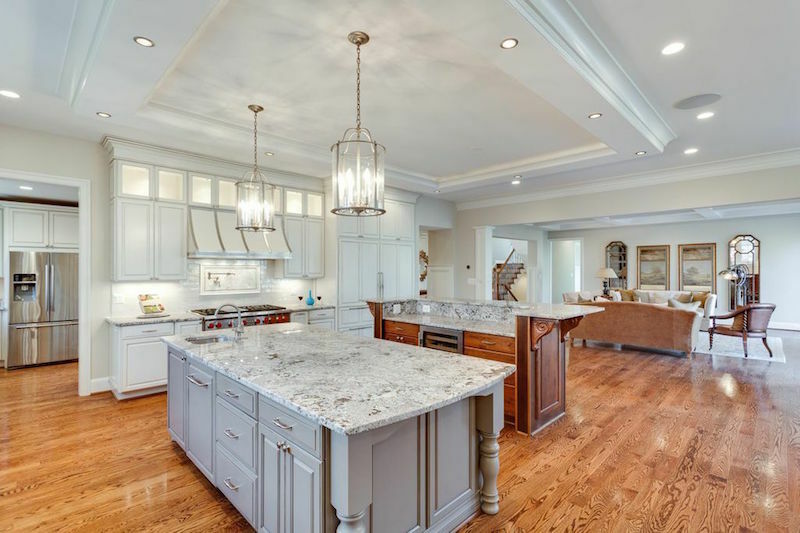 We consulted with Jim Ernst, of Ferguson Bath, Kitchen & Lighting Gallery, to see what his Washington, DC area clients have been requesting in 2015. "Over this past year, the most popular door styles have been either Shaker, or a version of Shaker, with a small detail," says Mr. Ernst. The hallmark of a Shaker cabinet is a flat paneled door with rail frames. Since Shaker cabinets have minimal ornamentation and straight lines, they can work in almost any style kitchen, from modern to more traditional. In a more modern looking kitchen they can be painted white or gray, while using a darker wood stain on this type of cabinetry can create a more traditional feel. 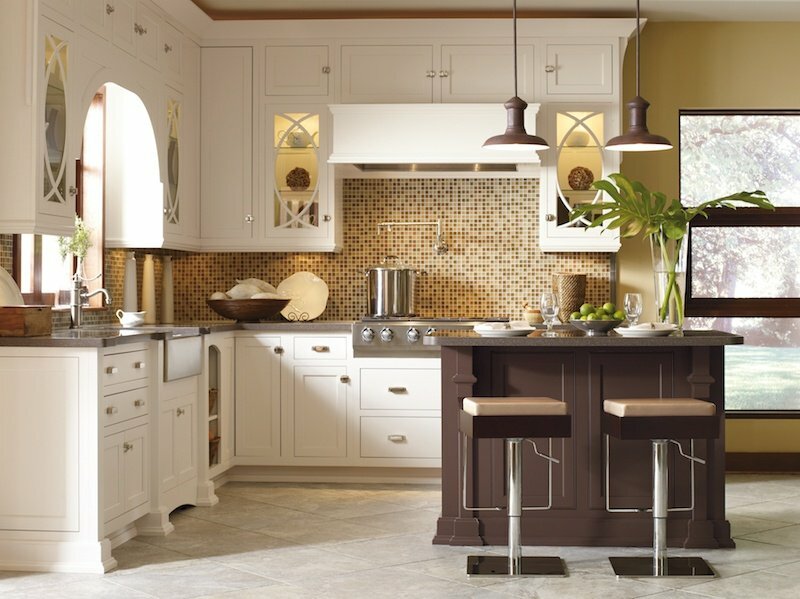 "Many of our clients now want a transitional look for their new kitchen," Ernst says. Designs that combine modern and traditional characteristics are called 'transitional'. This style allows you to create a kitchen that is unique and really reflects your personality and taste. For example, pairing modern stainless steel appliances with more traditional stained oak flooring can create a warm, inviting space. 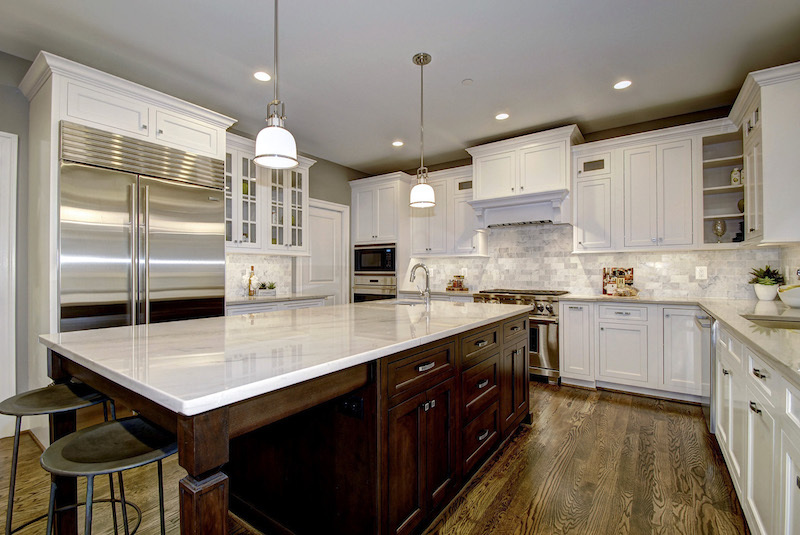 White paint for kitchen cabinets has been on trend for the past couple of years. Lately, using white or gray paint on cabinets with a different color kitchen island is very popular. Ernst notices that "last year there seemed to be a request for darker tones for the islands, but lately we have seen more and more people look at gray tones and blue-gray tones. There doesn’t seem to be as high of a demand for stain for the 45 and under age range. We have been seeing more cherry stains (darker tones vs. red tones) with the 50 or above age range, however." Making sure that you will have an organized kitchen is very important. When you begin to design your new space, think about what you will need to store. The newest trend is toward as many drawers as doors in lower cabinetry. Drawers can sometimes offer a more efficient use of space, and allows for easier access so you won't have to dig around to find what is in the back of cabinet. Pots, pans and other large items can be stacked in drawers that you can fully extend to see what is inside. However, lower cabinets with doors can house vertical dividers for cookie sheets, roll-out trays for platters or a Lazy-Susan. "There is a noticeable trend toward incorporating interior accessories into kitchen cabinets," states Ernst. 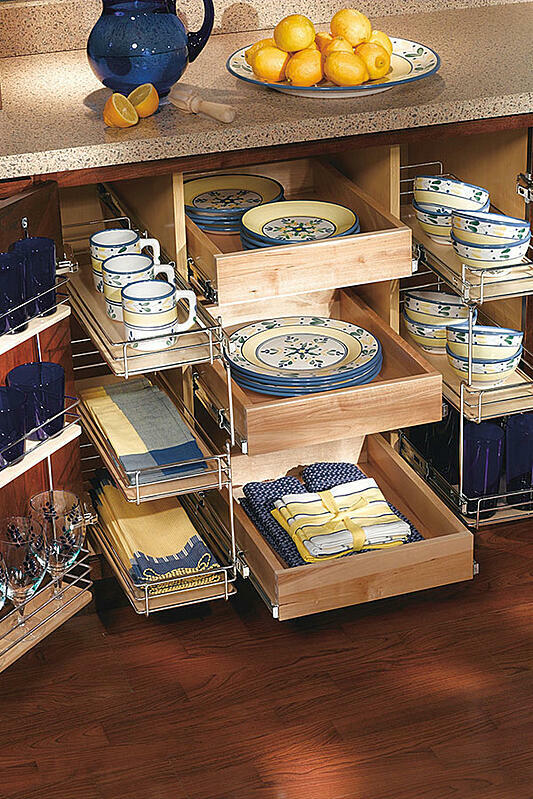 "Items like knife blocks, cutlery dividers, tier dividers, tray dividers, and spice pull-outs are often requested. In addition, customers are looking for double trash cans, roll out trays, and slow-close drawers as the standard in the market," he adds. While you are in the design phase for your new kitchen, go through the items you currently own and think about the best way to store them. Then ask your homebuilder or kitchen designer about the interior accessories that are available in the cabinet line that you are considering.